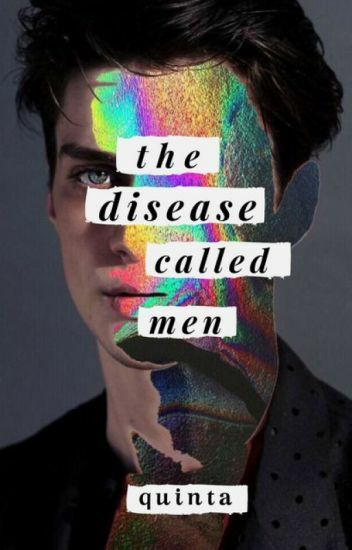 I really love the image you have chosen for your cover and the only fault I can think of is the font. I would suggest a bold, capitalized font since your cover has negative space. If you’re looking for cursive fonts, I would suggest Lobster, Buffalo Nickel or Letter Helen. Also writing “Ivory” in a background that is already white (even though a little off white) is not the best idea. The word 'Ivory" may not be too visible, especially in the thumbnail. The written by Katie part is looking good! 9/10 I like how it’s easy to read and has a playful colorful feel to it. Looks really professional. This one is super interesting! I love how different it looks and it’s simple yet creative. 9/10 - That cover reminds me of Alice and Wonderland, and I like it! My favorite part is the rabbit. It looks so unique with the flowers! In my opinion, I wouldn’t change a thing about the cover. It looks marvelous! 9/10 When I just saw the image as I was scrolling up, it didn’t catch my eye, but somehow the text, the TV and the title all work together so well! I love the Courage the Cowardly Dog vibe from this. The only reason I gave this a nine is because I feel as though the font of the author’s name doesn’t suit. Maybe something that looks a little more handwritten would be better? Regardless, good cover! Wow 10/10. This is an amazing cover. I really love all the colors and all the butterflies. So for the person rating mine, sorry not sorry, but can you please rate two of my covers. I’m not sure which one I like more and I really need help! Thank you! I really like the second one more. It has a nice and original flow whereas the first one is a bit more standard. The second one I’d rate 8/10 - the font could use a little work. I’m not sold on it - but font work is so subjective, isn’t it? I think I’d go with maybe a dark grey instead of solid black. Mostly because the imagery is so delicate and the font work is not. I’d also maybe choose another font. A serif, maybe. Try and play around a little with it. I always find playing around ends up giving me the result I was looking for. Your cover is really well done and gives the vibe of a dark fiction. 8/10 I would have just removed the border though. 7/10 It’s a pretty cool cover, I like it! 8/10 - I like the picture and the simplicity of the design. However, it is a little difficult reading the word ‘ivory’ as it blends in with the background. Also, the font for the author’s name is a little too small for my liking. Other than that, it’s a very cute design. 9/10. I really like the simple complexity of cover. it makes one curious to know what it is all about. The only concern is the capitalization of the letters. It kind of makes it looks uniform. However, this is just my opinion. Others may think differently. 8/10 I love how simple it is, yet everything is balanced. The text is standout and matches well with the dominant image. I especially love how the 'O’s are highlighted red. It gives such beautiful balance. The only change could be the preposition of the flower. It doesn’t look in the middle (or it could be because of the mobile glitches). 9/10 I love it, the combination of the red and golden is beautiful, and the font along with the gears in the background gives me a steampunk vibes which I like a lot, well done! A tip that I think would make it a higher score is maybe make the words, The Guardian a different font. mess around with them and I bet you’ll find one that sticks out and pulls readers in! 8/10 I like the style and color of the font. I also like how simple it is and the crown is a nice touch! 8/10 It’s simple and has a nice look to it. However the text looks sort of pasted on.